Food & Friends delivers hot, nutritious meals Monday through Friday, between approximately 10:00 a.m. and 12:00 p.m. in most areas. Frozen meals are also available for use on the weekend if needed. 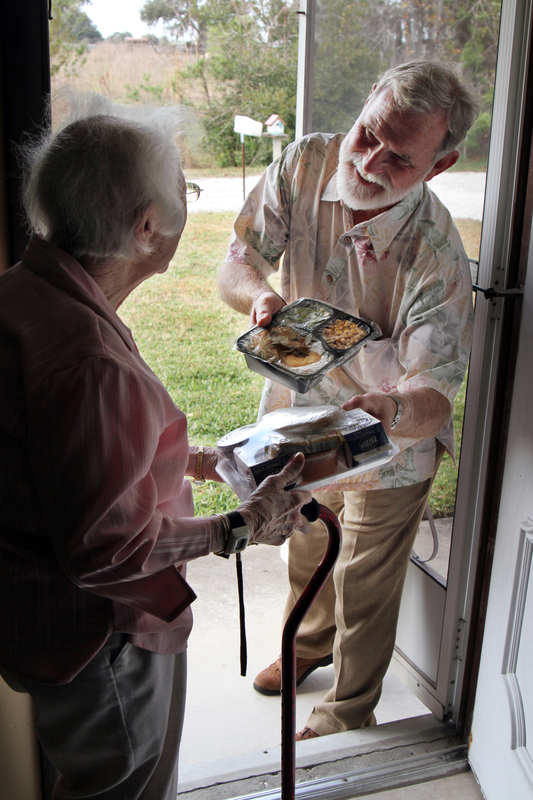 Meals are delivered to eligible homebound seniors by friendly volunteers. For many of our seniors, this is their only social contact each day and their only whole meal of the day. Age 60 years or older, or the spouse of someone age 60 or older. Homebound due to illness, injury or disability. Meal delivery is needed for at least two (2) weeks. Please call our office with any questions regarding Older Americans Act (OAA) eligibility. Younger adults with disabilities who are on Medicaid should contact their case manager. Meals are available in communities throughout Jackson and Josephine Counties. Click here for delivery days and geographic areas served. 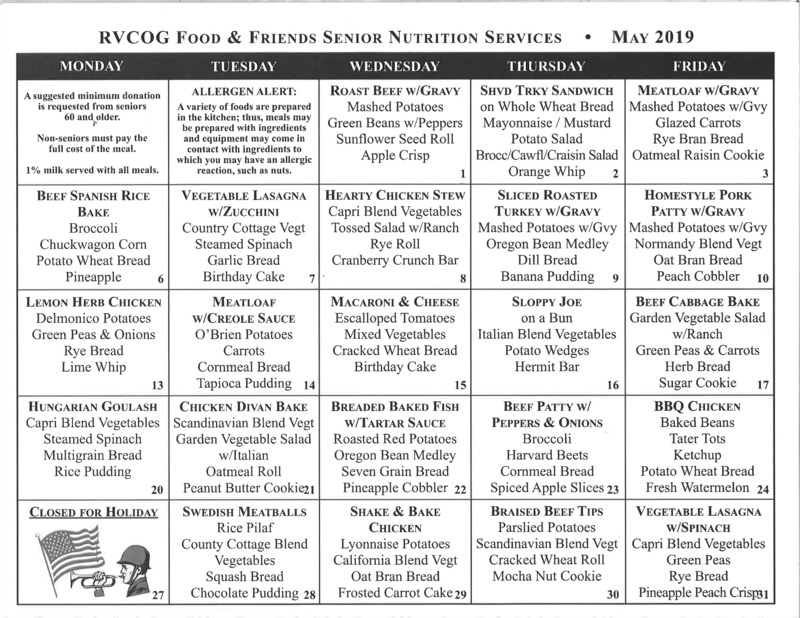 Lunch is served at Food & Friends Senior Dining Sites from 11:30 a.m. to 12:30 p.m., Monday through Friday in most areas. Seniors are invited to one of our 12 locations to enjoy a hot, nutritious lunch and an opportunity to socialize with their peers. Persons under age 60 may dine at the site but are asked to pay the full cost of their meal. Click here for a full list of Senior Dining Site locations and days of operation. Each hot or frozen meal contains a minimum of one-third of the recommended daily allowance of required nutrients. Diabetic and low-salt meals are available upon request. Please consult your doctor to make sure that the meals meet your specific dietary needs. Hot and frozen meals contain an entrée, two vegetables or fruit, milk, bread and a dessert.